In years to come, when history looks back (as it undoubtedly will!) on tower defense games, and any sub-genres, it’s unlikely that Defense Technica will go down as a ‘classic’ of the genre. 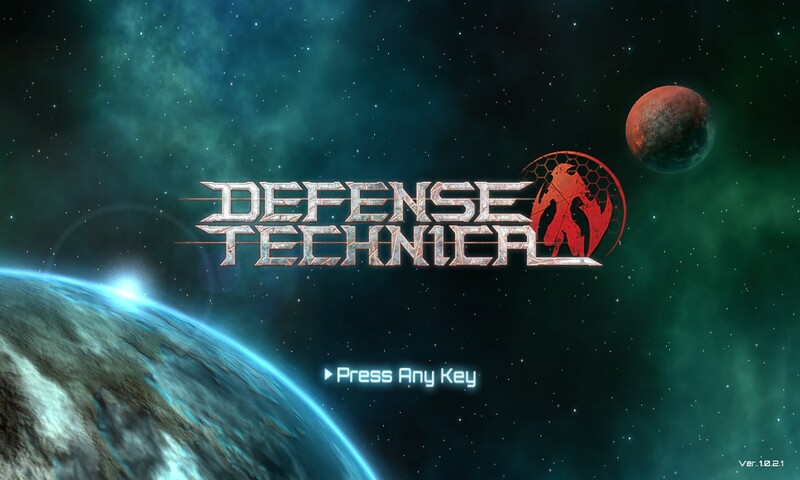 In a world where stone cold classics such as Plants vs Zombies, Defense Grid and Toy Soldiers exist, and the internet is awash with free-to-play productions by the 100’s, I think it’s a shame that a game such as a Kuno Interactive’s Defense Technica has shipped in under the radar. The game begins with a minimum of fuss, giving the player a brief run-down of the current situation in the universe. The humans have entered the galactic community, comes across a number of alien civilizations and become good pals with two of the more genial ones. Some time later, one of them decides the humans aren’t worth their time and attempt to wipe us out, while our mutual allies pretend to be the UN.. and do nothing. With the set up aside, you can drop straight into the game and you’re faced with the prospect of defending the remnants of the human race from the confines of your one remaining vessel. From here, you’ll act as the unseen commander, placing down towers, obstacles and defenses to half the progress of the invading alien forces. 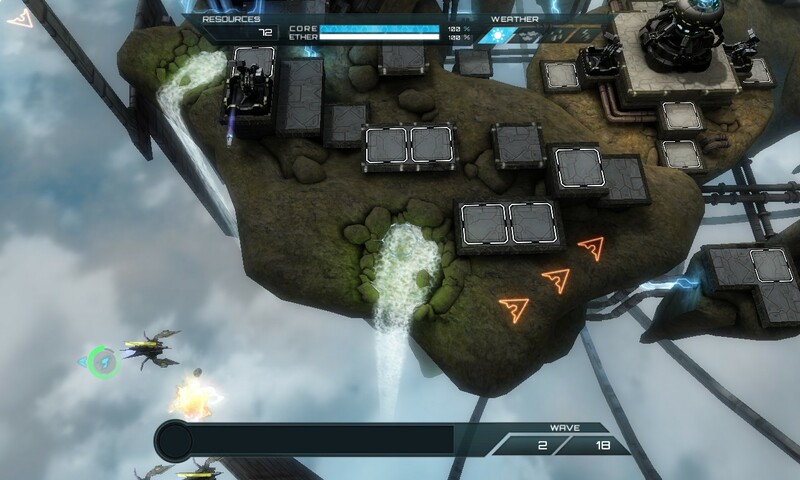 You’ll begin, as you might expect, with a fairly small and basic area to defend, with one route to place your towers along but as the game opens up you’ll find that you’re set upon from all sides and, as the game progresses, you’ll face air units and multiple waves at once. For anybody with even a casual experience in tower defense games, none of this will come as a surprise and you’ll probably get the hang of any intricacies fairly quickly but give Defense Technica a bit more time and you’ll find there is a decent amount of depth to be found. Beginning with a simple sub-machine gun emplacement, a ‘Stabber’ and a simple barricade, you’ll be given around handful of additions to your armoury as you progress through level after level, including the Raygun, SAM and Flamer. On the face of it, all seem pretty much a much of a muchness – they all cause damage in their own ways, so what’s the difference you might ask? 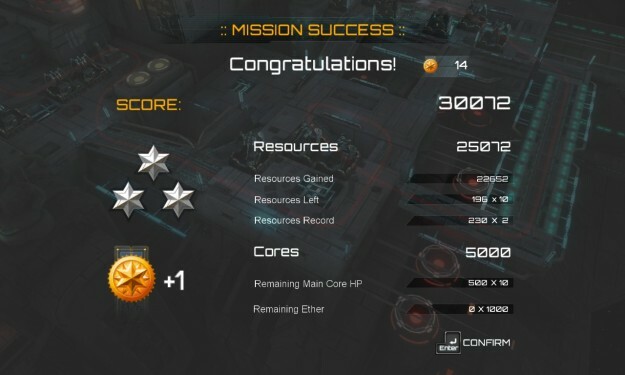 Well, if you try to set your flamer on any non-organic units you’ll be wasting precious resources. If you create a gauntlet of a sub-machine gun towers you’ll probably eventually wear the enemy down but it may be wiser to monitor the situation, as you can probably do the job faster! The varying units you’ll be facing all have their strengths and weaknesses and, thus, each has it’s own Achilles heal. While it is not rocket science to deduce which units are most susceptible to which towers, it can be quite satisfying to create a combination that can utterly obliterate wave after wave of enemy units. After the first half dozen levels you’ll be informed that you’ve more than likely collected enough of the in-game currency to level up your towers, which given that there are varying degrees of how successfully you can complete each level, provides a fair amount of re-playability. 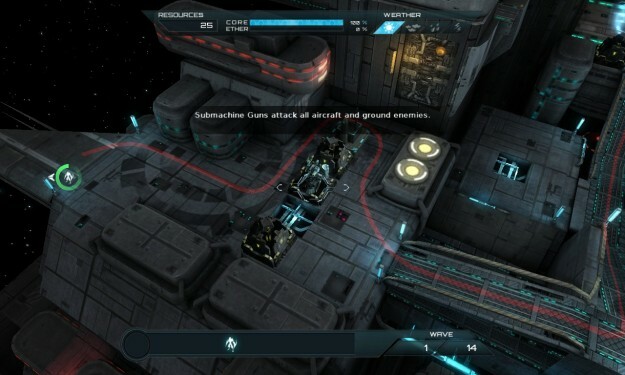 The game itself is quite pretty, with an incredible amount of detail for a previous Android game. 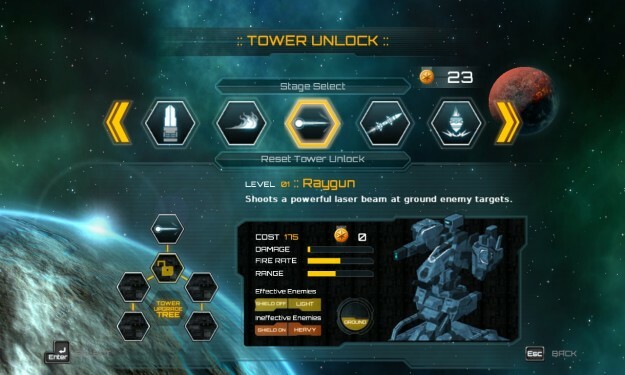 Each unit is crafted quite closely and despite the fact all are limited to a few animations (namely, moving forwards and occasionally attacking your core) it is clear that a lot of time and man-hours has gone into making one of the many hundreds of tower defense games out there, perhaps one of the best-looking you’ll have ever played. Tower defense games in and of themselves are only able to hold a player’s attention for so long, given the repetitive nature of them, but while you may only play Defense Technica for the odd 30-45 minutes at a time, it is certainly a good-looking little game that you will keep going back again and again for ‘just one more level’.